When you work hard to build up a store of food for your family, it can feel like the world is falling down when pests take over. Losing food to mice, rats, bugs, and other unwanted creatures is a devastating to a family budget not to mention a huge frustration after you’ve put so much time and effort into building your pantry. Thankfully, there are some ways that we can prevent these pesky pests from stealing our precious goods. Don’t already have a stockpile? Here’s How to Build a Stockpile Quickly. Build a stockpile with just $5…find out how here — Building a Stockpile With $5 Per Week. Protecting your home from pests is the first line of defense for your food storage. Sealing off your home as much as possible is vital. Any area open from the outside has the potential to let rodents and bugs into your home. Seal off cracks, window edges, around piping, and other entrances into your home. Be sure to check in places that you might not consider at first. In our previous home, I thought everything was pretty snug and safe but then I opened the bathroom linen closet one day and came face to face with a RAT. I had forgotten about the area around the drain of the bathtub! Clear out your yard to prevent pests from coming around. Keeping garbage cans clean, removing yard waste, and not leaving things in the yard that can be used as a shelter for critters you do not want coming into your home over the cold winter months. Keeping the inside of your home unappealing to a pest is a great way to keep them away from your food source. Keeping floors clean of food crumbs, dishes washed, and trash taken out is a great way to not attract pests. Plugging drains and repairing any leaks will keep them from coming in and sticking around because they can’t find water. Something that goes along with this is to not store your outside garbage near the entrances to your home. It may take a little extra effort to walk the trash out further but it will be worth it. When pests do find their way in, getting rid of them fast is vital for protecting your food storage. Keeping traps set and checking regularly will alert you when pests have found a way in and keep them under control. If you catch one you can assume there are plenty more. (Depending on the species of pest of course, we tend to have problems with shrews but they travel/live alone so it’s just removing one at a time.) Start the task of getting rid of the pests as soon as you discover them. After you have armed your home to keep pests out, you will want to take a good look at your food storage itself. 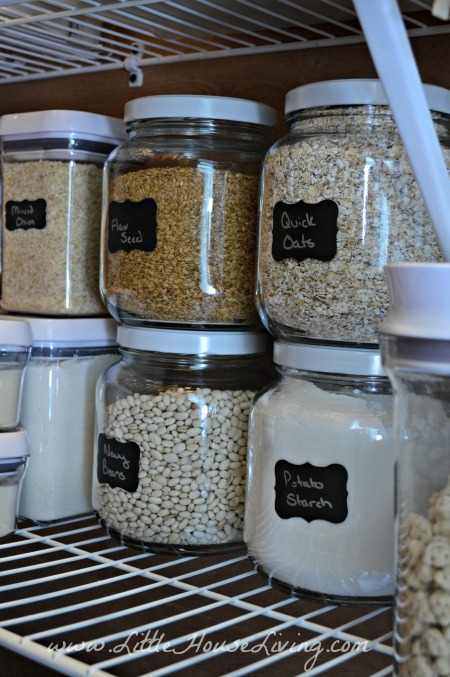 Storing foods in airtight containers should be your focus here. Animals or insects will hunt for food by scent, so using air tight containers will keep them from smelling your food. Anything not airtight or contained within packaging that mice and rats chew up for bedding need to be stored differently. Large Rubbermaid bins are airtight and a great way to keep the foil packets and pouches from falling prey to building a nest and revealing a tasty reward that draws all of the other critters in. 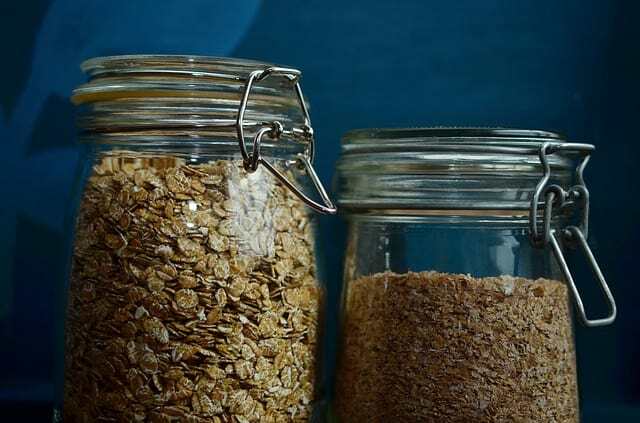 Canning jars are great pest proof containers and reusing old glass jars for storing bulk foods that do not need canning is a great way to reuse those jars and protect your food storage from pests. Things that you can not find another suitable option for can often go just fine being split into old jars. One of my all time favorite storage containers for large bulk storage is a 5 gallon food-grade bucket with a Gamma Lid. They seal tight and keep everything down to the smallest pests out! 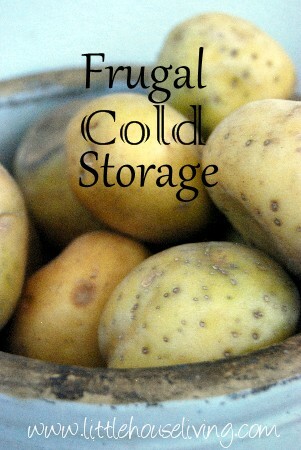 Use the refrigerator and freezer as much as you can. These appliances are pest proof if all seals are properly working. We often look only at refrigerated foods for storing here but things like bread, cakes, and other treats are safest stored in your refrigerator where you can rest assured that the thin and not air tight packaging will not leave pests easy access to your families food. These are just a few ways that you can keep pests out of your home and hopefully will help you keep your hard-earned food storage protected. No one wants to grab a package off the pantry shelf only to have the contents fall out onto the floor through a mouse-chewed hole! Just get started with Buying in Bulk? Here’s a whole page dedicated to the topic! And if you don’t already have a stockpile, you may want to read more about Builing a Whole Foods Stockpile. What are some things that you do to prevent pests from entering your home? How to do you remove them once you find them? How do you store your pantry goods? These are good tips! The last time we had a mouse, I found out that mice love chocolate. Who knew? Now I keep my chocolate in air tight glass storage! Well, who doesn’t love chocolate?! 😉 Glad you found another solution! I have had mice chew right into Rubbermaid tubs. They went in through the corner of the lid. Wow, those were some determined mice! We just had some bugs get into our flour that I thought was in a secure container, but turns out the lid had a small crack in it. Ugh. Thanks for the list, I have a few of these that I need to get to work on. What a lovely idea. Tank you.